The famed Indian batting line-up's capitulation against a spinner like Moeen Ali is baffling at times. Especially, since, Moeen Ali is not a huge spinner of the ball and also, he doesn't have that guile and drift that some great spinners possessed in the past. Another important aspect to look at- the same Moeen Ali was ineffective against India in India where spinners tend to run through sides. He has played 5 Tests in India where he has picked up a meagre 10 wickets. So, what is the reason for such a contrast in the record of the same bowler against the same opposition? A spinner is taking more wickets in unhelpful conditions while being ineffective in helpful conditions. How? The reason is the different approach employed by Indian batsmen to play Moeen Ali in England and India. In India, batsmen played Moeen Ali freely, without any inhibitions, like any other spin bowler without the baggage of history. But in England, it is evident that they are circumspect while playing him. Let's examine what Indian batsmen can do differently to counter Moeen Ali threat. The age-old method of stepping out to spinners still works perfectly. It helps in smothering the spin and also makes the bowler change his line and length, which doesn't allow him to settle. When you attack a spinner it doesn't give him the luxury to bowl six balls of an over at the same place. 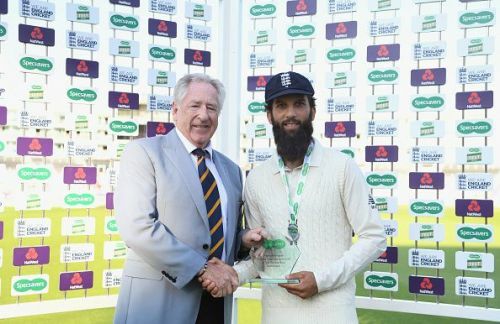 Since India did not attack Moeen Ali during the fourth Test, it allowed him to bowl all six balls of an over in the rough which eventually made the pitch look like a landmine. India needs to take a leaf out of their own history. During the 2001 series against Australia, India was following on in the 2nd Test, VVS Laxman was at the crease facing the legendary Shane Warne. Warne was bowling in the rough outside the leg -stump, to counter his spin Laxman steeped out and started hitting Warne through mid-on. The leggie changed his tactic and packed the leg-side field, Laxman still stepped out and drove him against the spin through the off side and the rest as they, is history. This is what stepping out can do. Batsman should have faith in his ability, otherwise, he is a sitting duck. Right now India is playing like a one-trick pony against Moeen Ali. He is allowed to settle in his rhythm and bowl wherever he wants to. Another tactic India can employ against Moeen Ali- to try and sweep him from outside the stump. By taking his pad outside the off stump batsman can negate the threat of LBW and he can score as well. 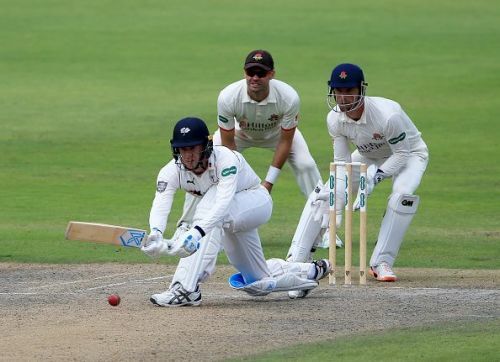 This tactic will force Moeen Ali to bowl a bit short which will allow Indian batsmen to rock back and manoeuvre him through the leg side for runs. Moeen Ali doesn't have a lot of variations in his repertoire. By using the crease Indian batsmen can easily negate his threat. But, for this, they need to come out of their defensive mindset and forget that they are playing in England. They should think that It is just another spinner and just another match.